Hurricane Maria – the deadliest storm of the 2017 hurricane season – made landfall in Puerto Rico, on September 20th last year with winds of up to 155mph. In addition, almost 40″ (1 metre) of rain fell. The wind and storm surge destroyed 80% of the buildings in some townships, and killed 64 people on the island of Puerto Rico alone according to official records (Harvard University estimates the figure was actually 4,600) together with many more throughout the Caribbean region. Aid agencies responded with food, clean water and medical care – but with an estimated 3.4 million people without electricity we tell the story of one organisation trying to make a difference to the rural families who need power, but are least likely to get it. 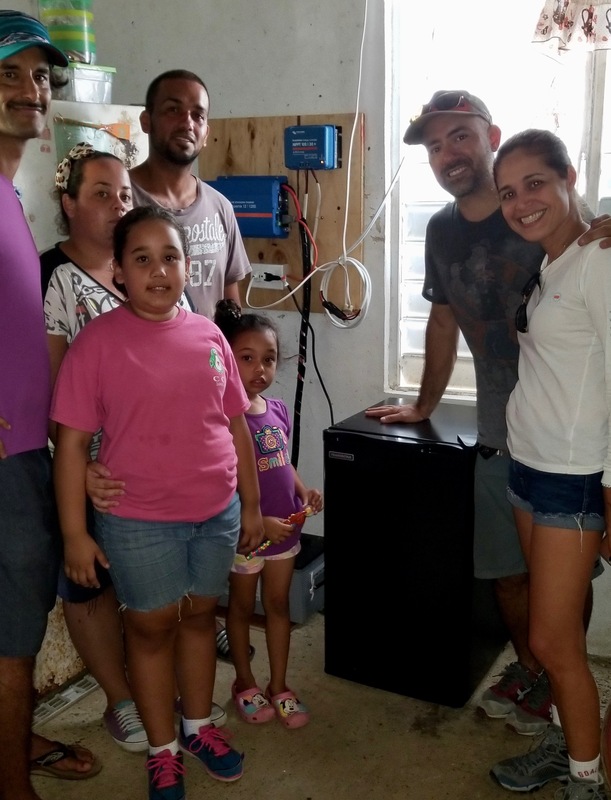 Frustrated with the slow pace of repair and the inconvenience of living without electricity Alberto Casas even thought of leaving his native Puerto Rico to begin a new life elsewhere. He and his partner Kamil Rivera decided to install solar electricity and the relief he found from being able to come home and carry on a normal life – cooking, charging a cell phone, helping the children with their homework …but mainly just having a light – made a tremendous difference to his mood, and his optimism for the future. 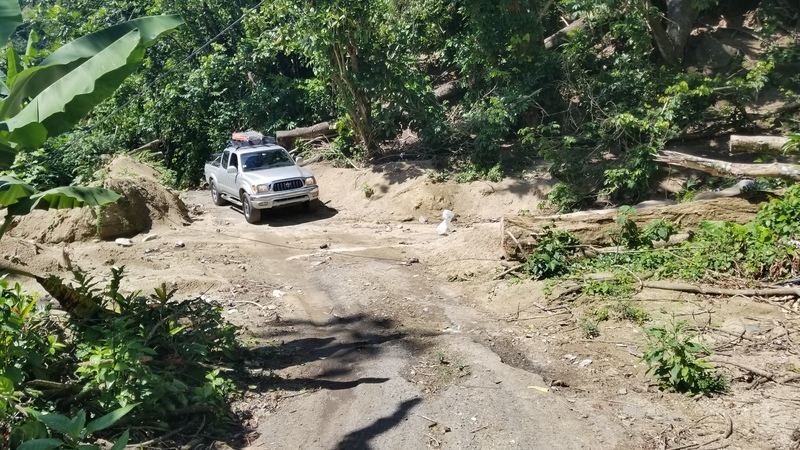 Having solved his family’s own immediate problems they decided to head out to the countryside to help with the now widespread humanitarian effort of handing out food and water …but found that they were simply duplicating the efforts of others. One experience changed their thinking: An elderly man in a wheelchair, noticing that they had a candle, asked if he could have it in preference to food …explaining that once the sun had gone down, he had no light. Alberto realised that this was the next stage of the island’s rehabilitation. He and his partner – together with a tour guide who has an intimate knowledge of the island’s rural areas – formed a team called Off Grid Solar to build simple domestic solar electricity kits with money donated through a GoFundMe account, set up for the purpose. 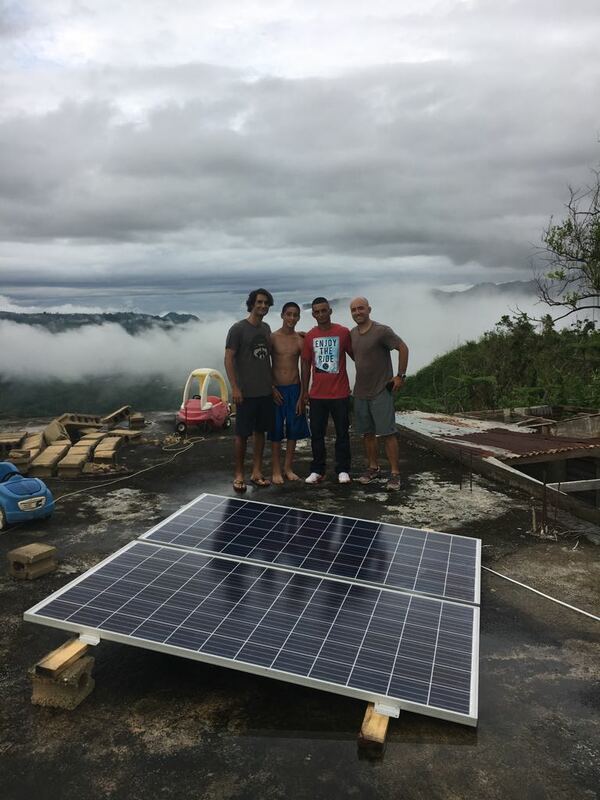 Off Grid Solar is a local self help organisation whose small scale Solar Power installation provides the basic power needs for rural families. Although these houses and farms expect to be re-connected to the national grid in a year or so …the benefits of the off-grid installations will last long after they get re-connected, because the electricity grid wasn’t reliable in the first place. 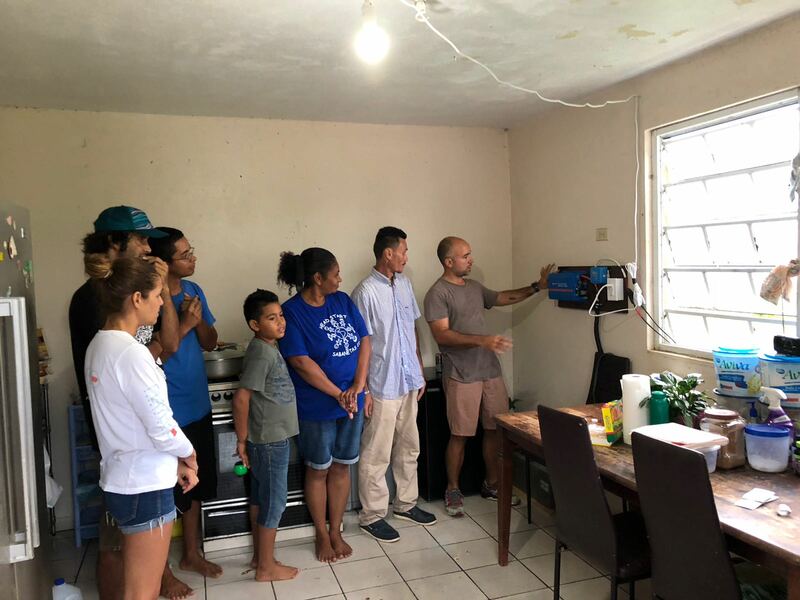 The initiative brings electricity to those in despair, struggling to return to something like a normal life – it brings immediate improvement to the lives of those who have suffered and lost so much. Yet it does more – Kamil, Alberto & Andres are inspiring others – showing that the best way out of difficulty is through helping yourself. And they are also demonstrating that there is a greener way to provide the island’s power. …which provides enough power to run most domestic equipment – a television, food mixer, fridge, lights – which don’t provide ‘heat’. Alberto and Kamil, pictured right, brightening people lives. Colleague Andres Carrero from Atabey Tours is on the extreme left. 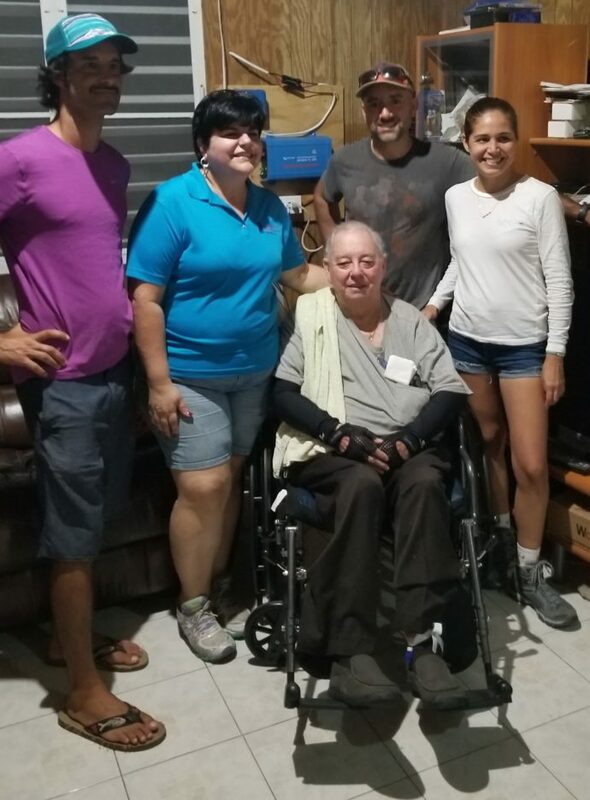 If you would like to support Alberto, Kamil and Andres in their effort to bring disaster relief to the most vulnerable click on the GoFundMe link above.